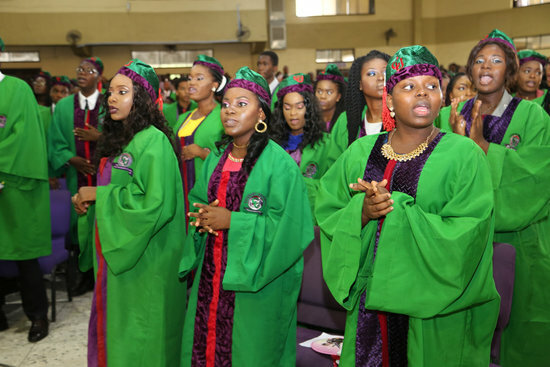 The university graduated 1,887 students for 2017/2018 Academic Session. They comprised: 238 first class honours, 746 second class upper honours, 452 second class lower, 86 third class and 365 post-graduate students. NAN reports that a young lady, Miss Salami Toluwani, from the Department of Industrial Chemistry, College of Sciences emerged the best student with a Cumulative Grade Point of Average (CGPA) of 4.99.